A few quick photos of some bits and pieces I have picked up recently. 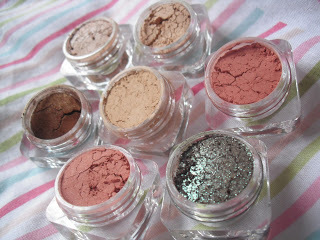 I recieved 7 gorgeous mineral make up samples from Lumiere which I will be doing a review on soon. 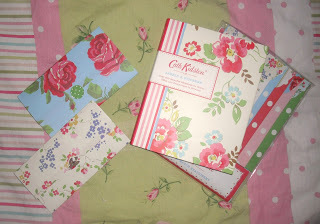 I made a couple of thank you notes for my family using my Cath Kidston Stationary kit. Cute! 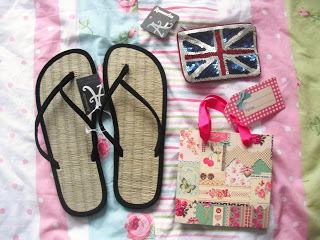 I popped into Accessorize to see what they had left over in their sale and I got these seagrass soft strap flip flops £8 £2, Union Jack sequin purse £8 £1 and a cute patchwork pattern giftbag £1.75 52p. 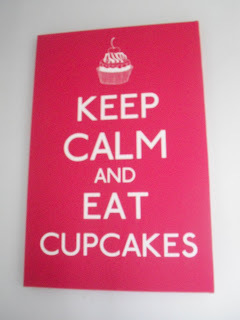 Even though I have no space left on my bedroom walls, I couldnt resist buying this from Primark! I have now forced my Mum to have it up in our kitchen 🙂 £4. 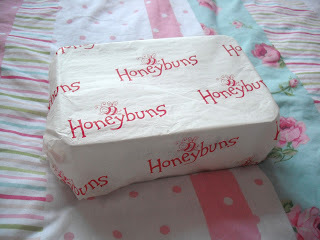 The postman today brought me a delicious parcel from Honey Buns! 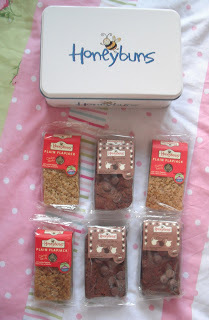 I won a competition on Twitter to win some delicous chocolate brownies and flapjacks. 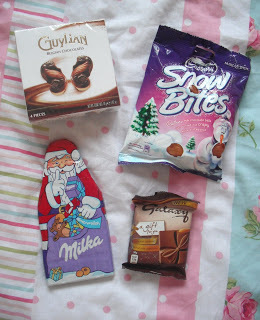 Wilkos were selling off their Christmas chocolate half price! YUM! I also got a pair of these gorgeous designer wine glasses! 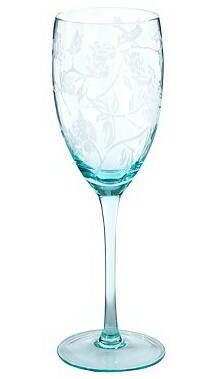 They are from the Butterfly Home range at Debehams, designed by Matthew Williamson. 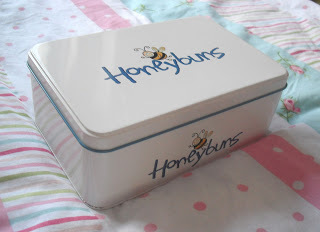 Reduced from £7 each to £3.50! Chic! Gorgeous items! 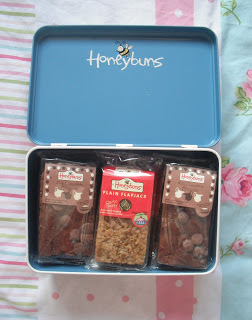 God arent those samples amazing <3 Near the end of mine. Need to order more.